New solution to a bulky wallet, no more need for a bulky wallet or purse, just easily attaches to back of mobile and slip your credit cards, ID , subway pass, earphones, some cash into the card holder and you're ready to go. Made with safe durable silicone & of course real 3M glue, easy to stick & remove without leaving a mark, restickable. This strong material will keep its shape and cards will not fall out even if your phone is upside down. 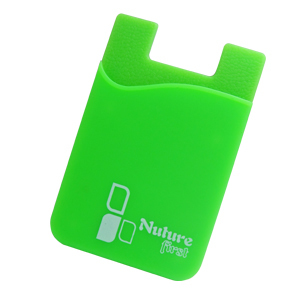 Support all smartphones and tablets which has a flatback with enough size to fit a credit card. 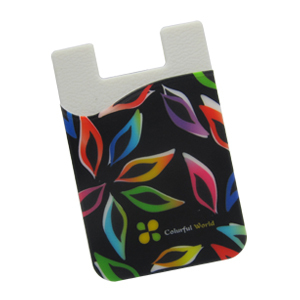 Stylish & simple design, great giveaways for telecom corporation, mobile company, credit card company etc. Great gift for anyone who has a mobile phone . now pick up your mobile & go. Customized color and printing are welcomed at MOQ 500 pcs.